Home Rapids Rider on the App Store! Rapids Rider on the App Store! Finally!! 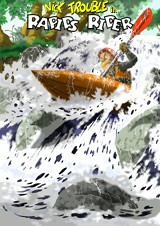 Rapids Rider is available on the App Store. Prepare yourself for the most exciting rafting experience on iOS platforms. Many dangers and rewards awaits for you in this thrilling adventure.